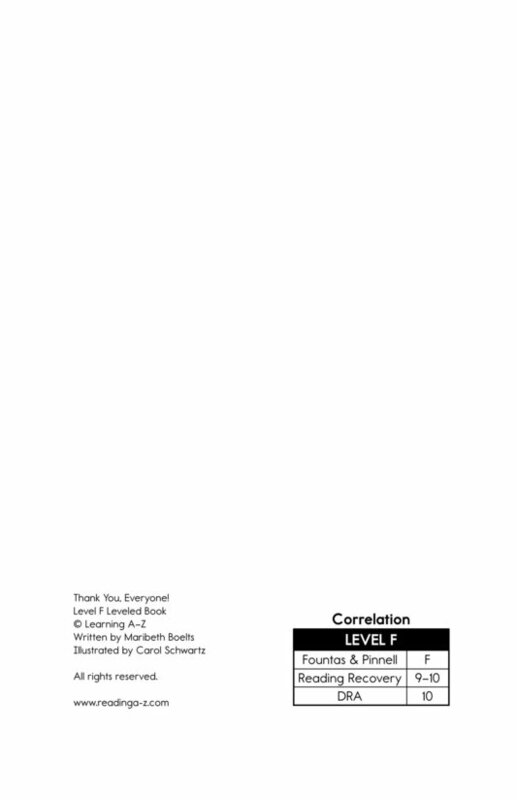 > Books > Leveled Books > Level F > Thank You, Everyone! 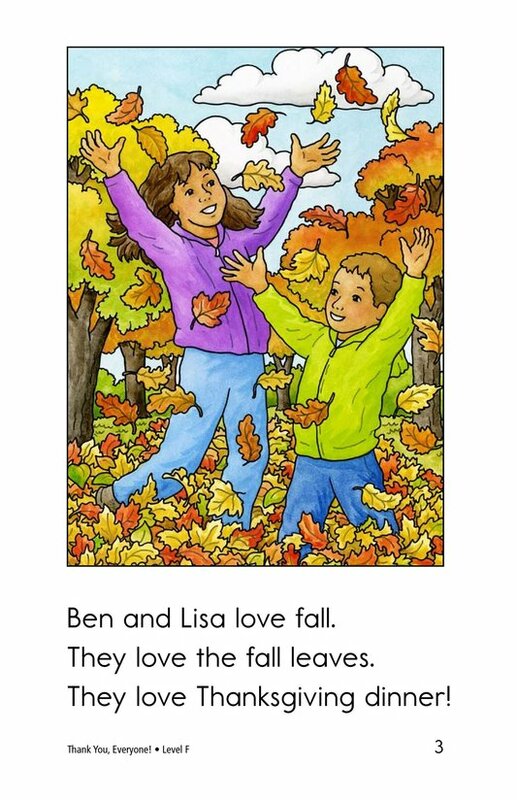 It's fall! 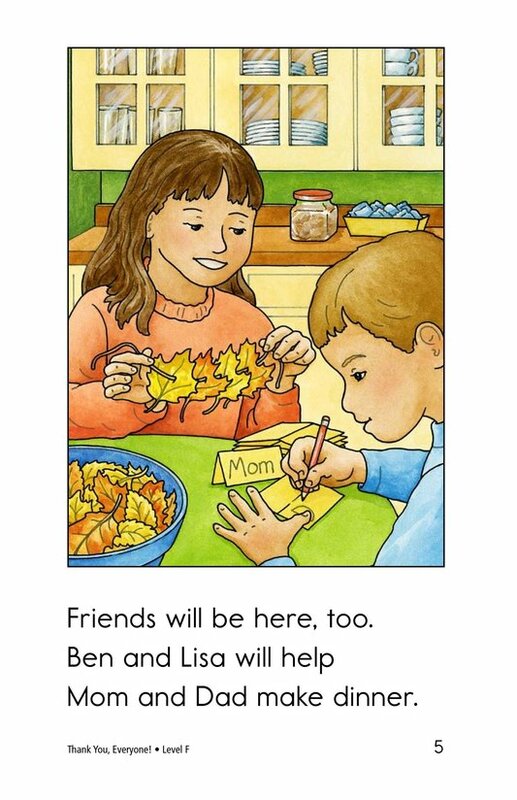 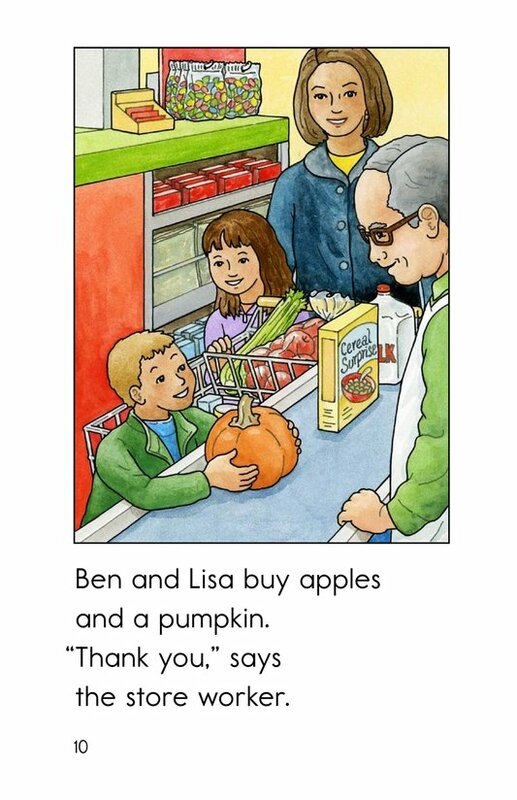 Ben and Lisa love many things about fall, especially Thanksgiving dinner. 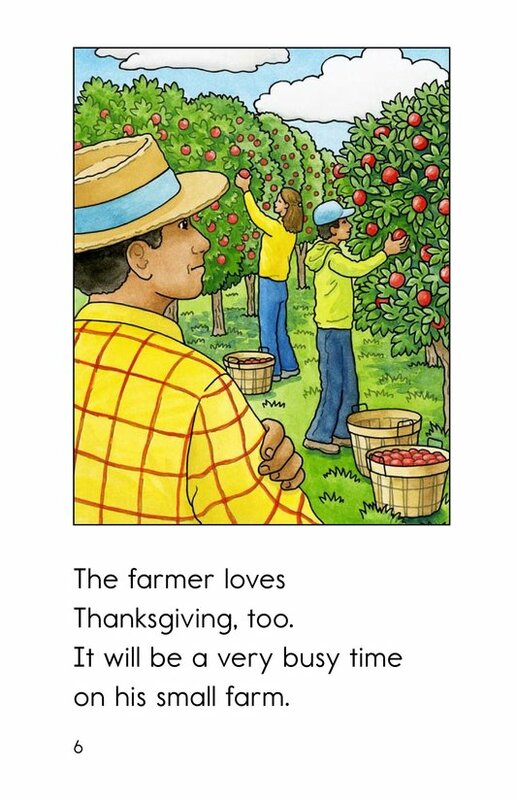 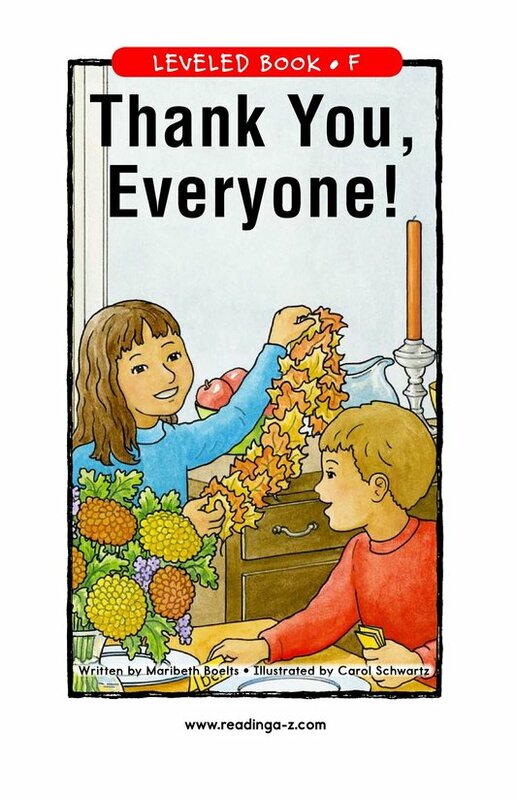 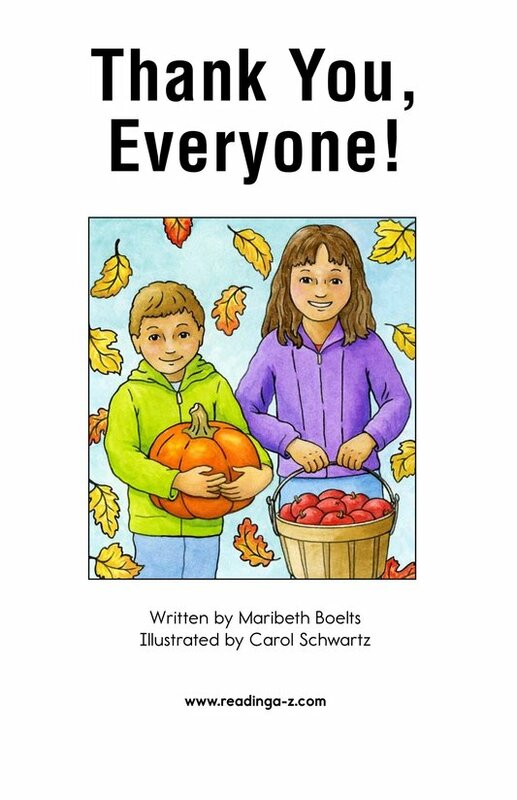 In Thank You, Everyone!, students will have the opportunity to think about what they are thankful for as well as learn how fruits and vegetables make their way to the Thanksgiving table. 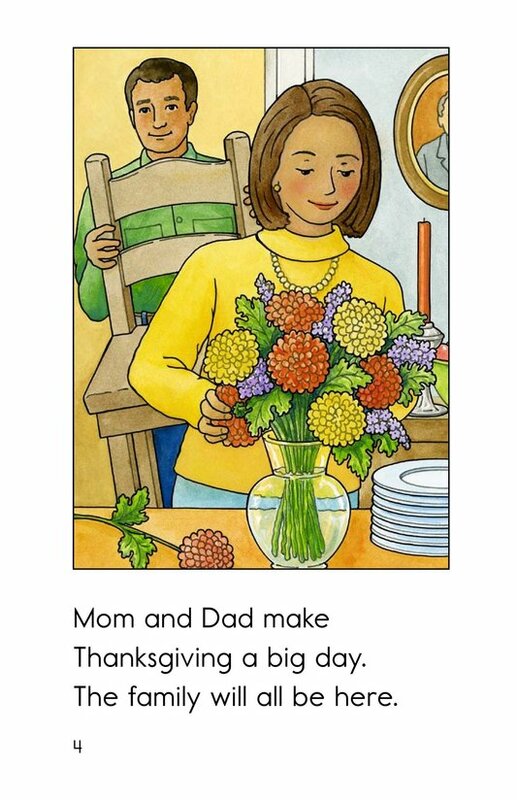 They will also have the opportunity to sequence events in this holiday story. 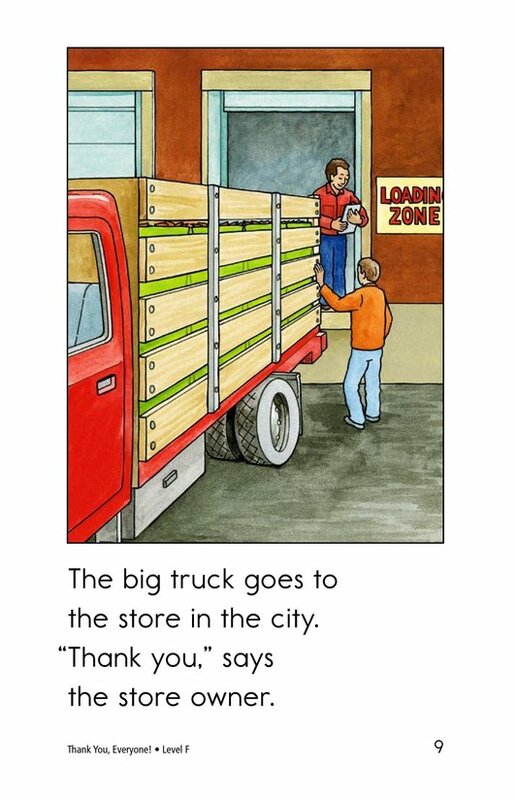 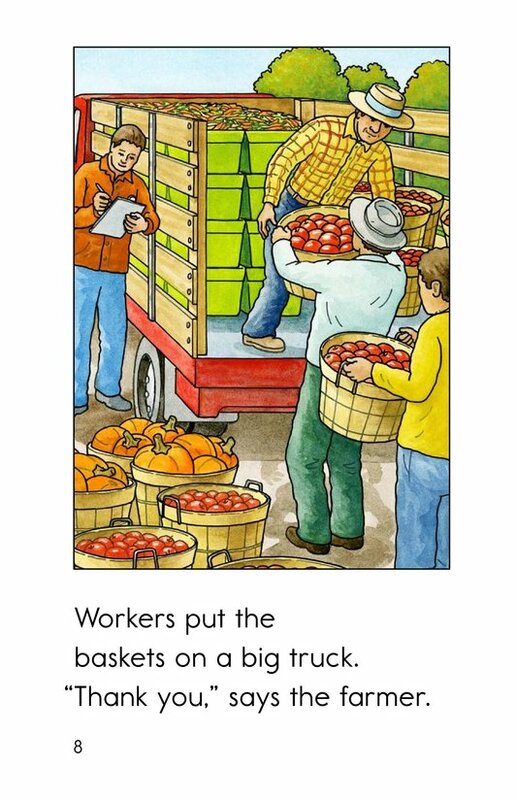 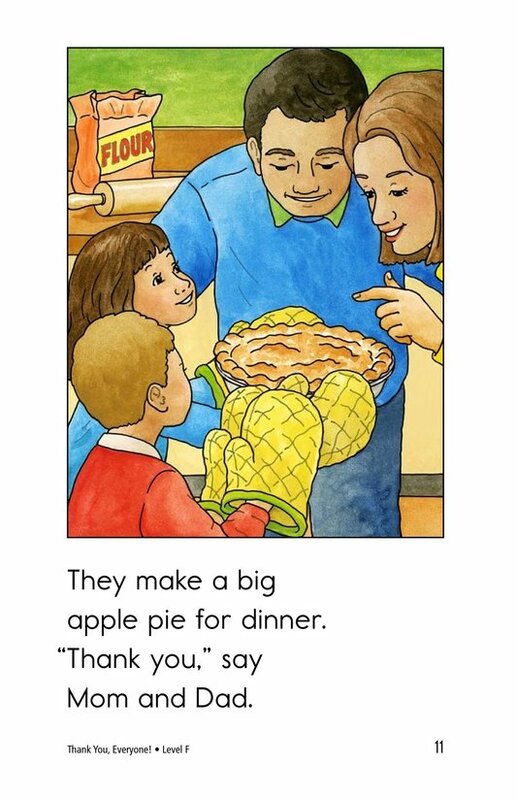 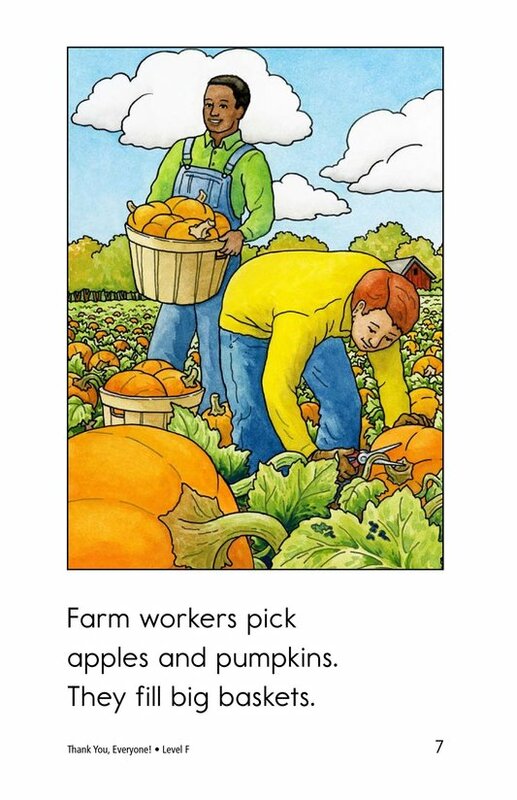 Detailed illustrations, repetitive text, and high-frequency words support readers.